Show your partner, spouse, or crush that you care this Valentine's Day with a romantic balloon gift! 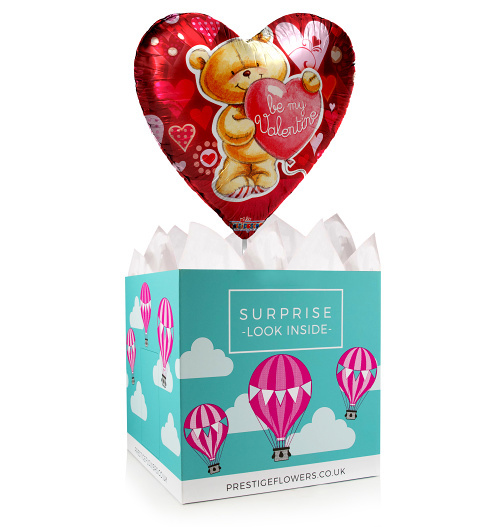 We have selected a beautiful 18-inch helium balloon to accompany the gift box and your personal message. We also offer a selection of optional extras such as wine, cake, chocolates, and cuddly bears.